All Airteq Detention Hardware products are quality built to meet the demanding needs of the correctional marketplace. 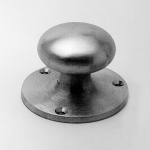 The Door Knob 613 is machined from solid brass bar with a clear coated US32D Finish. 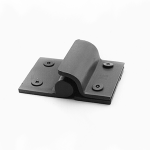 The Door Stop 650 is designed for use with detention door hardware with up to a 2 1/4" projection ...651 Door Stop also available - (2" dia, 1 1/2" tall). The DPS 6200 is a high security mortised magnetic door position switch for door frame installation. 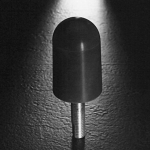 The Flush Pull 614 is cast in bronze with a clear coated satin finish of approximately US32D. 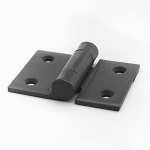 This Food Pass Hinge with Stop 603FP surface mounted hinge is used on food pass doors. 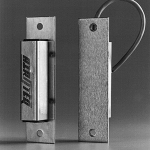 Hinge is provided with a stop that restricts hinge rotations to 90 degrees, allowing the food pass door to act as a shelf. This Inmate Pushbutton 6300 heavy duty switch assembly is designed specifically for the detention environment. When enabled from a control station, it will allow inmate operation of cell door locks or perform as an inmate call button. 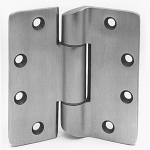 This Institutional Mortise Hinge With Security Stud 604 FMCS is made from investment cast 304 stainless steel. 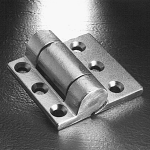 Hinge is 4 1/2" X 4 1/2" X 3/16" thick, with hospital tip and maintenance-free bearing assemblies. 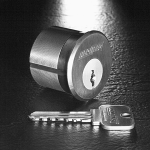 This high security 6 pin tumbler mogul cylinder provides more key combinations than standard five tumbler models. This Prison Hinge 603 can be used for many prison applications, including access panels and weapons lockers. 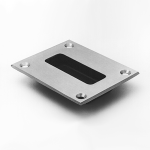 This heavy duty surface mounted Prison Hinge 605 is designed for use with the heaviest doors...Available with shortened leaf and/or holes (contact Airteq). 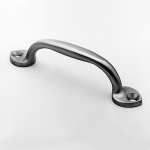 The Pull Handle 612 is cast in bronze with a clear coated satin finish of approximately US32D (US4 available).